The Deceuninck uPVC flush casement window provides stunning looks, transforming both old and new properties from contemporary townhouses to beautiful country cottages. The Deceuninck flush sash window provides stunning looks and leads in performance, with superior design and uPVC technology. Heritage flush sash windows are truly outstanding across the board, with A+ energy efficiency, PAS24 security and fantastic weather performance. Designed to replicate the appearance of timber with sleek, slimline frames and authentic colours, our uPVC flush casement windows are ideal for any property where the sash fits flush into the frame. Our flush sash windows look fantastic in any surrounding, with their flush external contours, and elegant style. Georgian bars can be incorporated into the design for further authenticity, transforming a modern town house into the archetypal country house many people dream of. Offering superior weather resistance, our uPVC flush casement windows have a high performance multifunctional weatherseal. This continuous seal is welded at the corners, maintaining air tightness with no loss of comfort inside the home. The Deceuninck flush sash window has a night vent locking position. This bespoke locking keep allows for secure ventilation as well as full hardware compatibility, giving the Heritage flush sash window unrivalled security. Inspired by traditional timber joinery, the Deceuninck uPVC flush casement window can be either fully welded or mechanically jointed for a more authentic appearance. This allows them to offer a traditional charm to new builds or an enhancing feature to traditional or conservation properties. We offer a wide range of high quality, authentic hardware options that allow you to customise your new windows right down to the detail. This includes a range of hinge and handle options, which ensure a traditional look is maintained across the whole of the window design. These flush sash windows are available in a wide range of high quality colours, which will make it easy for you to find the perfect match for your property. All the colours we offer are applied with a highly durable finish to ensure they maintain their fullness and richness over many years; we also offer matching cills, trims and ancillaries. Inspired by traditional timber joinery, The Deceuninck uPVC flush sash window can be either fully welded or mechanically jointed for a more authentic appearance. This allows them to offer a traditional charm to new builds or an enhancing feature to traditional or conservation properties. We offer a wide range of high quality, authentic hardware options that allow you offer your customers a home improvement solution that accurately emulates the appearance of traditional flush casement windows. All of our hardware options uphold the usual high standards of quality we offer. These flush sash windows are available in a wide range of high quality colours, which will allow you to increase your customer base. You won’t have to turn business away as you accommodate for all tastes and preferences. All of our colours are finished with a highly durable finish to reduce any required after sales. Combining modern function with traditional form, our high performance flush casement windows have been designed to ensure modern demands are surpassed. This means that they completely outclass their traditional timber counterparts, which can bow, rot, warp or discolour over time. This means they are sure to be a beautiful investment for your property. Their intelligent design allows them to guarantee you a home that remains warmer and more comfortable throughout the year. This is made possible with a high performance, thermally efficient profile that works to effectively trap in pockets of warm air, improving the performance of your central heating and reducing heating bills throughout. They also utilise premium grade uPVC to ensure an impressive degree of structural integrity is maintained. Our flush sash windows offer you peace of mind, with a design that achieves impressive security from the ground up. This is then enhanced with high performance, multi-point locking mechanisms to ensure security remains consistent across the board. 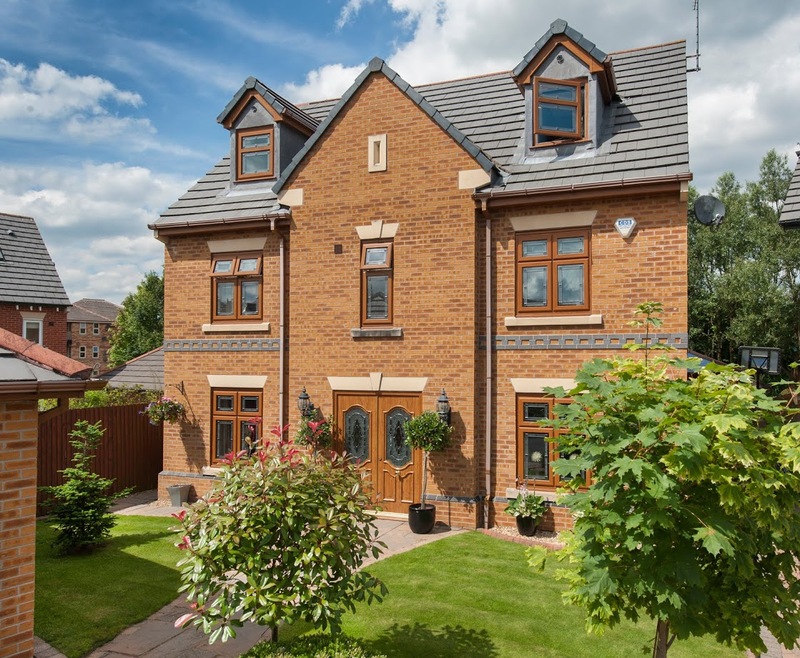 Combining modern function with traditional form, our high performance flush casement windows have been designed to ensure modern demands are surpassed. This means that they completely outclass their traditional timber counterparts, which can bow, rot, warp or discolour over time. You’ll be able to offer a product that lasts. Utilising a market-leading profile, these windows are extremely thermally efficient. Offer your customers a more comfortable property with a double glazed window that stands at the forefront of the Window Energy Rating scale. These windows have been tried and tested for their heat retention properties. They also utilise premium grade uPVC to ensure an impressive degree of structural integrity is maintained. You’ll be able to secure both your reputation as an installer and the satisfaction of your customers with a window design that promises an impressive lifespan over many years. A Sternfenster Approved Installer will be able to expertly install these flush casement windows into modern, traditional, period or heritage homes alike. Our Approved Installers have a wealth of experience in the industry, meaning you’ll be able to complement your home in a stress-free, simple way. We also offer a range of opening configurations and panel options to suit your property, which allows us to offer a new home improvement solution that will perfectly fit the space that you have. An Approved Installer will work with you to customise and operation and appearance of your flush sash windows to ensure they suit you perfectly. The range of colours and finishes we offer also allows us to achieve increased flexibility in installing our high performance flush sash windows. Whether you’re looking for windows that blend in or catch the eye, we’ll be able to accommodate with our comprehensive selection. It’s never been easier to get the perfect addition to your home. An easy, simple and smart way to increase your customer demographic, these windows can be easily installed into a wide range of property types. It doesn’t matter if your customers require new windows for a new build, traditional, modern, period, heritage or traditional home, these windows are perfectly suited. With a wide selection of configuration options, opening styles and panel counts on offer, you’ll be able to work with the homeowner to ensure they find their perfect flush sash windows in a quick, simple and easy manner. You’ll be able to offer quick lead times on premium products, allowing you to offer more to more customers. The range of colours and finishes we offer also allows us to achieve increased flexibility in installing our high performance flush sash windows. Answer the demands of your customer with our comprehensive selection, spanning from high quality standard colours to traditional woodgrain foils, you’re sure to have something for them. 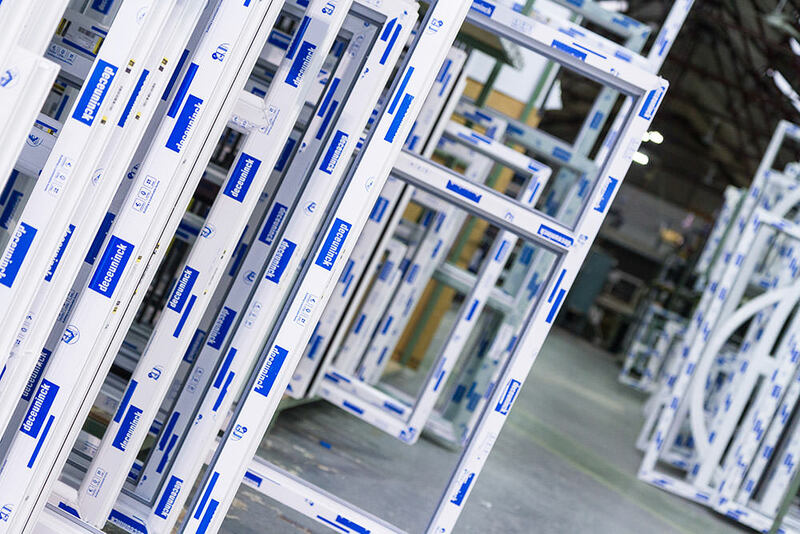 To ensure performance and aesthetic are maintained over an extensive period, all materials used in the manufacture of our flush casement windows will require minimal input from you to ensure they operate to an ‘as new’ standard. You’ll be able to enjoy market-leading designs without any of the headaches that can occur with inferior designs. Due to the inherent qualities of high grade uPVC, your flush casement windows won’t rot, warp, rust, bow, crack or discolour over the years. This stands true even in the face of extensive use and prolonged exposure to the elements. They are sure to be a worthwhile investment for your property. Our uPVC flush casement windows are designed with a unique modern shape and smooth contours, which can be easily maintained with a simple wipe down with a damp cloth. You’ll be able to maintain pristine, traditional aesthetics in a simple, quick and easy manner. There’s no need to settle for less. Due to the inherent qualities of high grade uPVC, these flush casement windows won’t rot, warp, rust, bow, crack or discolour over the years. This stands true even in the face of extensive use and prolonged exposure to the elements. Your customers are sure to be satisfied by this exceptional range. Promote yourself as a reliable, efficient and professional installer with flush sash windows that are designed to last. We only offer our trade customers premium products, because we know your customers won’t settle for anything less. Find out how to become a Sternfenster Approved Installer today. Our flush casement windows are available in our standard welded sash, mechanically jointed sash and for slimmer sight-lines, our StyleLine graf welded sash. The Deceuninck flush casement window is available in a wide range of foiled colours, helping homeowners choose the perfect colour combination for their home. We also offer colour matching ancillaries, trims and accessories - your windows have never looked so good. Contact us today and arrange a free flush casement window quote. We offer competitive flush casement window prices for both retail and trade.